These comments came from a church member following a special weekend to celebrate 25 years in the building at Westbury Gardens and also the harvest festival. When planning the weekend, the Elders decided that it would not only be one of looking back on 25 years and hav ing a good time but also, through a labyrinth, one which enabled us to take a fresh look at our faith and be inspired by it. It was wonderful that so many people joined us for worship on Sunday and we thank the Synod Moderator, Revd Peter Brain, and our Minister, Revd Geoff Townsend, for leading our morning and evening worship respectively. The main feature of the Saturday was a labyrinth, set up in church, which enabled us to step out of our routine lives for a short time and reflect on aspects of our faith. 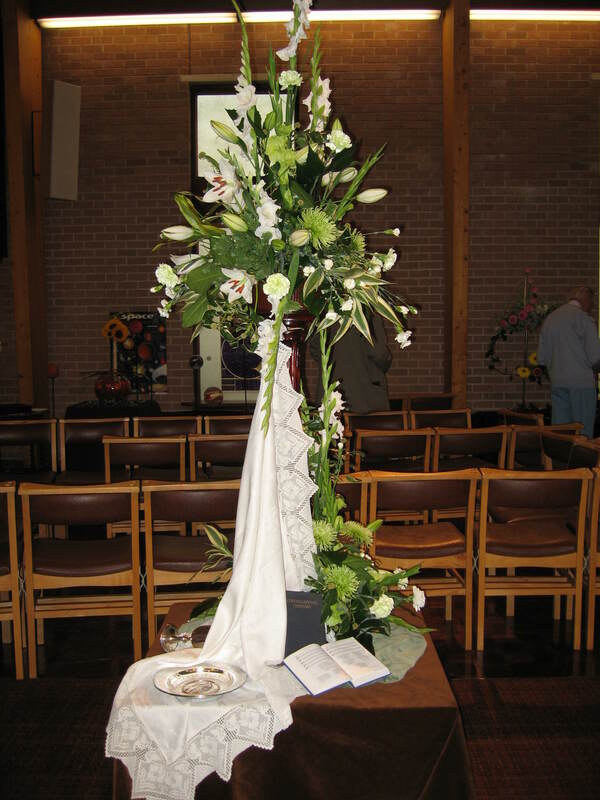 We used material prepared by the URC centrally and in the North Western Synod. We were also grateful for the expertise of a church member and fellow members of a flower arranging class for creating stimulating displays at stations along our journey. We were able to make a spiritual journey to the Holy Space in the centre of the church. We were encouraged to sit and reflect in the presence of God. Almost everyone coming out of the sanctuary was visibly moved by the experience and, most importantly, they are still talking about it! During the weekend visitors were reminded of the past through a photographic/video display covering the last 25 years.